Montreal pianists Brigitte Poulin and Jean Marchand have been close friends, colleagues, mutual coaches and collaborators for over 20 years. 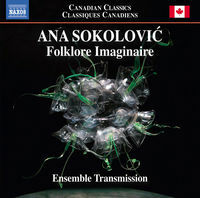 Montréal-based Ensemble Transmission (2008-17) was a collective of six musicians, independent thinkers and producers playing mostly modern and contemporary music from solo to sextet – without a conductor! Silvia Mandolini and Brigitte Poulin gave their first recital together in 1994.